President Obama announces support for building an oil pipeline from Oklahoma to Texas, Thursday in Cushing, Okla.
"So today, I've come to Cushing, an oil town, because producing more oil and gas here at home has been, and will continue to be, a critical part of an all-of-the-above energy strategy," Obama told an audience gathered at the Cushing Pipe Yard. As Obama stood in front of pipes intended for use on the southern part of the Keystone XL oil pipeline, he called for an expedited review of the portion of the pipeline that would run from Oklahoma to Port Arthur, Texas — despite the fact that his administration refused to approve the entire pipeline earlier this year. NPR's Scott Horsley, who is traveling with the president, reports for All Things Considered that a group of protesters greeted Obama in Cushing, holding signs that read, "Keystone, Yes." Obama responded to Republican accusations that his administration is permitting gas prices to rise. "So, if you guys are talking to your friends, your neighbors, your co-workers ... and they're wondering what's going on in terms of oil production, you just tell them anybody who suggests that somehow we're suppressing domestic oil production isn't paying attention," said Obama. In January, Obama announced that the government was rejecting an application for the Keystone XL project — what would have been a 1,700-mile-long pipeline from Alberta, Canada, to the Texas coast — while inviting TransCanada to submit alternative pipeline routes for further consideration. The larger pipeline would have needed State Department approval because it would cross national boundaries. The southern portion Obama discussed on Thursday would run from Oklahoma to the Texas coast, stretch 485 miles, and help ease an oil bottleneck in that part of the country, The Associated Press reported. Susan Casey-Lefkowitz of the National Resources Defense Council said of Obama's Thursday announcement that it was "downright foolhardy to cut corners on safety reviews." House Speaker John Boehner, R-Ohio, mocked Obama's announcement, saying he was "trying to take credit for a part of the pipeline that doesn't even require his approval." 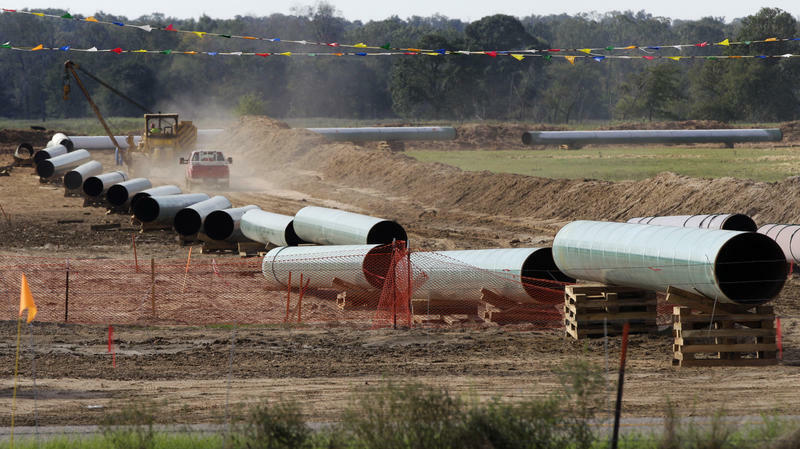 Bloomberg News reported that construction on the pipeline's southern section already was expected to begin as early as June. 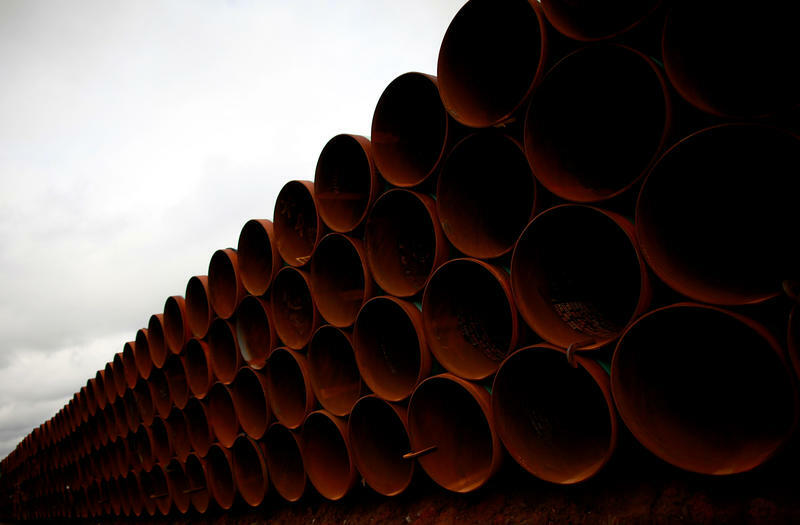 A large section of the controversial Keystone XL pipeline went into official operation Wednesday, in a move that supporters say will help ease the flow of oil to refineries in the Gulf Coast region. The Obama administration has yet to rule on the project's northern portion.